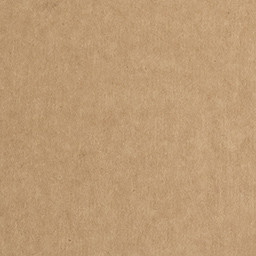 Corrugated cardboard in 1 or 2 layers with a brown top and brown bottom. 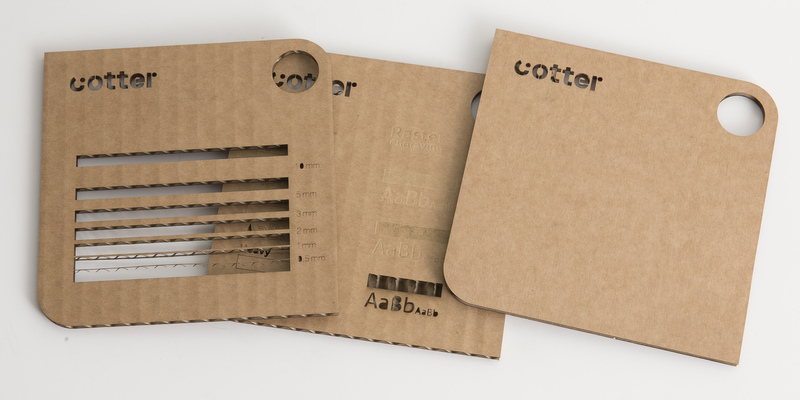 Corrugated cardboard is suitable for packaging prototypes, templates and inexpensive decorations. 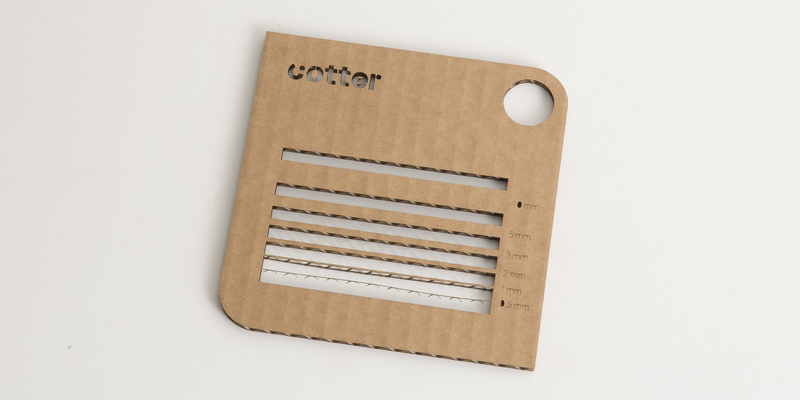 3mm corrugated cardboard consists of 1 layer, whilst 7mm consists of 2 layers. 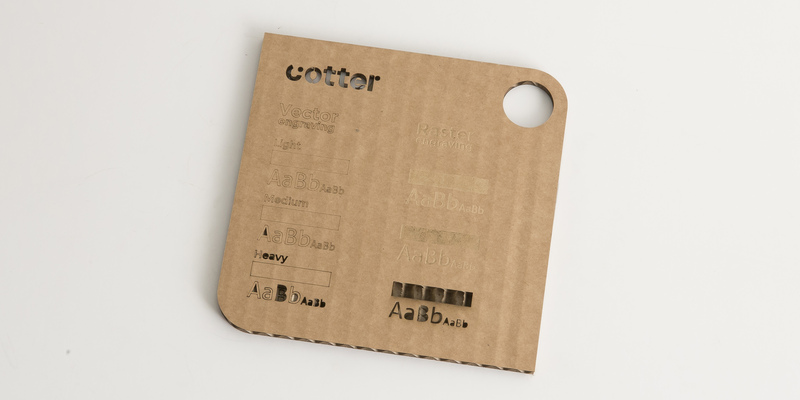 This type of cardboard can be vector engraved. 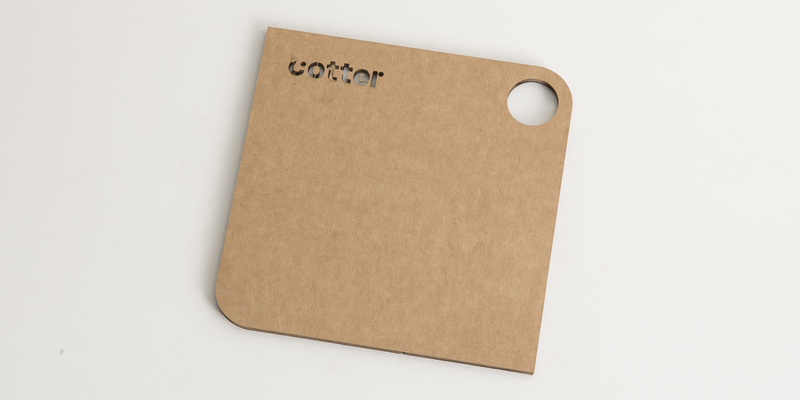 The material turns a brownish colour in the engraved areas – the thicker the engraving, the darker the colour. The engraving will look the same on both the white and brown sides. Top – The wood will appear slightly darker along the score line. Edges – The edges have a sharp appearance after cutting. They do not look black, but some colour can rub off when touched. This can be removed with a dry cloth. Bottom – The bottom looks relatively clean, but may have some marks from the layer it was cut on and the smoke from the cutting process. Corrugated cardboard can be painted, and it is also easy to bend and cut.